One may think of a baby representing new life and possibilities. 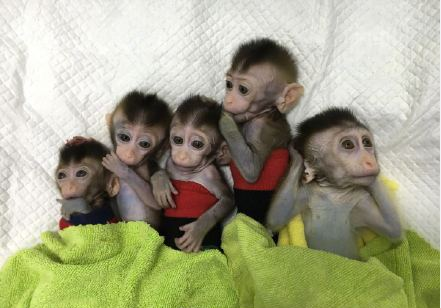 These five baby macaque monkeys, however, will almost certainly experience anxiety, depression, and schizophrenia in their lifetimes, as a result of gene modification—another one of China’s scientific experiments that raises ethical questions on cloning. Scientists at the Chinese Academy of Sciences in Shanghai have not only cloned five macaque monkeys, but also have modified the monkey’s genes to give them a sleep disorder called circadian disruption, according to a press release from the Science China Press on Jan. 23. Circadian disruption means that a normal sleep cycle is difficult for an individual to experience. Most creatures follow a circadian rhythm, a cycle of waking and sleeping during certain points of the day and night. A disruption to that rhythm will not only cause abnormal sleep, but other adverse side effects. This disruption can cause “metabolic, psychiatric and age-related disorders,” according to a summary of one of the reports. To make sleep even more difficult, the baby monkeys are also kept in rooms where the lights are always on. Circadian disruptions can come from external factors, like a person working a night shift but also staying awake to be with family. The scientists used a genetic editing tool to “knock out” a specific gene from healthy embryos. When a gene is knocked out, it means that it no longer functions. For these monkeys, the BMAL-1 gene was the target of the knockout. China allows research that is ethically banned in most countries. Cloning and gene modification has already stirred controversy. John Bergeron, a professor of medicine at McGill University, likened gene-editing to opening Pandora’s Box, due to potential commercial uses of gene modification. 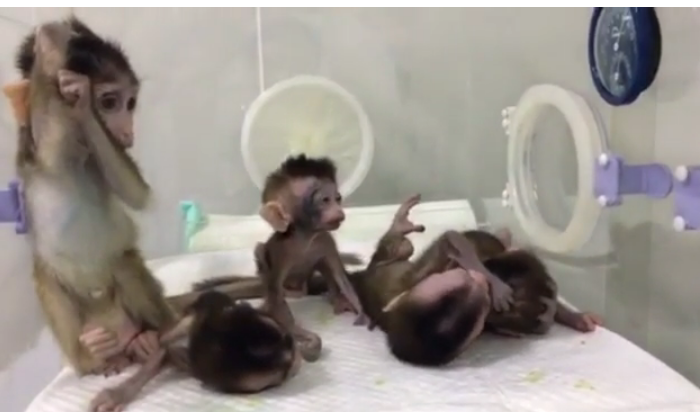 The first time monkeys were cloned occurred on January 2018. The first two macaques were named, Zhongzhong and Huahua, which mean “Chinese nation” when combined. Humans have also been involved in gene modification experiments. Chinese scientist He Jiankui was responsible for what he called “gene-edited” babies. In November 2018, He said that through the same technology used on the monkeys, CRISPR-Cas9, he altered the genes inside two female embryos. On Jan. 21, He was fired from his job. Though He was fired and condemned by Chinese authorities, his application for the project carried official stamps and signatures from members of an ethical committee. Along with massive amounts of funding required for such work, which comes from an unknown benefactor, he was said to be on unpaid leave since February 2018. China has allowed other forms of experiments banned in other countries. In November 2017, an Italian doctor announced that he would perform the first human head transplant in China with the support of the Chinese regime and a team of Chinese surgeons. Dr. Sergio Canavero claimed that his team had already successfully completed the procedure on cadavers. The controversial procedure, which was condemned by the United States and the European Union, raised biomedical ethical concerns over China’s lack of oversight.